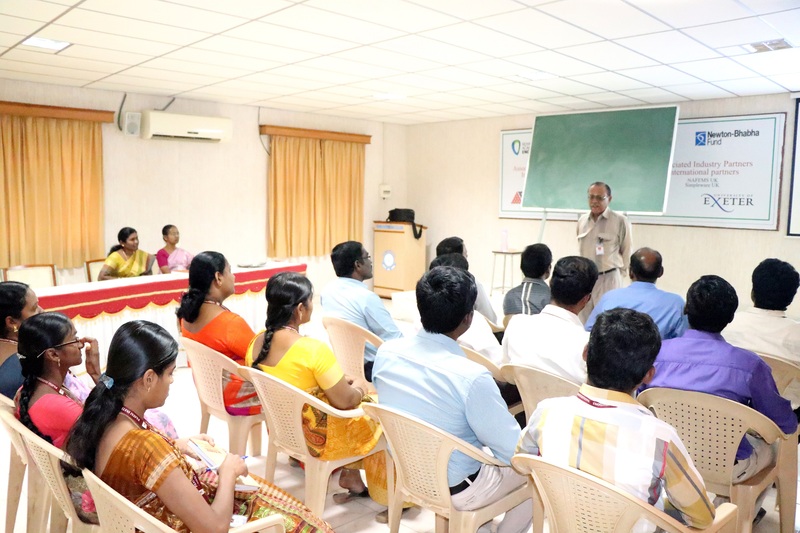 A one day workshop was conducted for the faculty members of the department of Chemistry on 05.01.2016 at Cute Hall, PEC. In the forenoon session N.Vijayanand Prof/Chemistry, PEC, spoke on the title “Electrochemistry – Corrosion & its applications in day- today life”. This session was very useful to the new faculty members. He discussed in detail cell reaction and corrosion control methods. Dr.G.Raja HOD/Chemistry, PEC, made a power point presentation on the title “Fuel’s importance & its demand”. This session was very interactive and it encouraged the new faculty members to clear their doubts about the topic. They learnt new ideas about alternate energy sources in the present scenario. 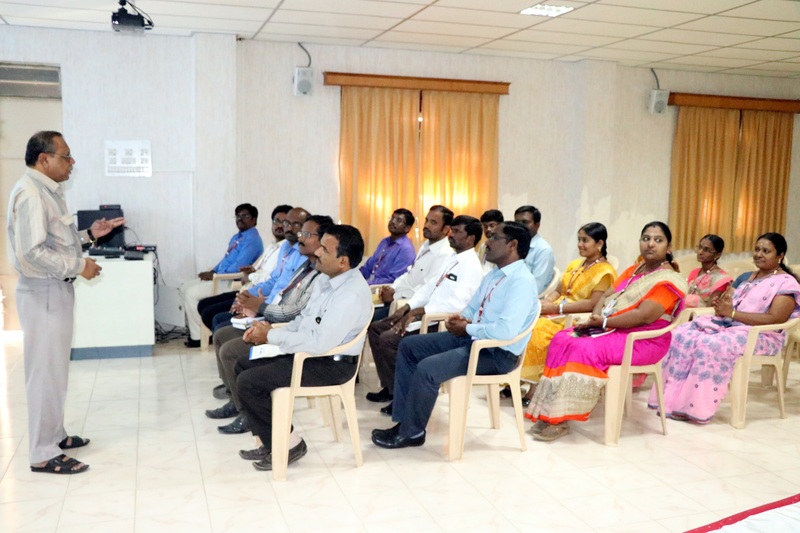 Dr.K.Gopi, ASP/Chemistry, PEC, lectured on “Cheminformatics & its application in Research and Drug industry”.He made it clear to the faculty that cheminformatics is an upcoming area in industrial research and pharmaceutical industry. Therefore, it is essential on the part of the faculty to know about the various softwares in the field. 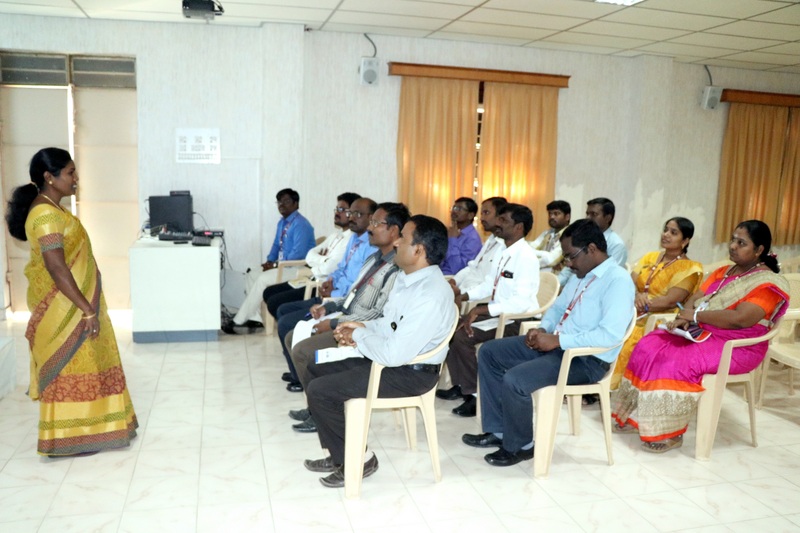 N.Venkatesan, HOD/Chemistry, PCE, talked on “Water Technology & its need to public”. He explained clearly the need to conserve water using appropriate technology tools. The session was very lively and the resource person made the faculty realize the importance of updating one’s subject knowledge. 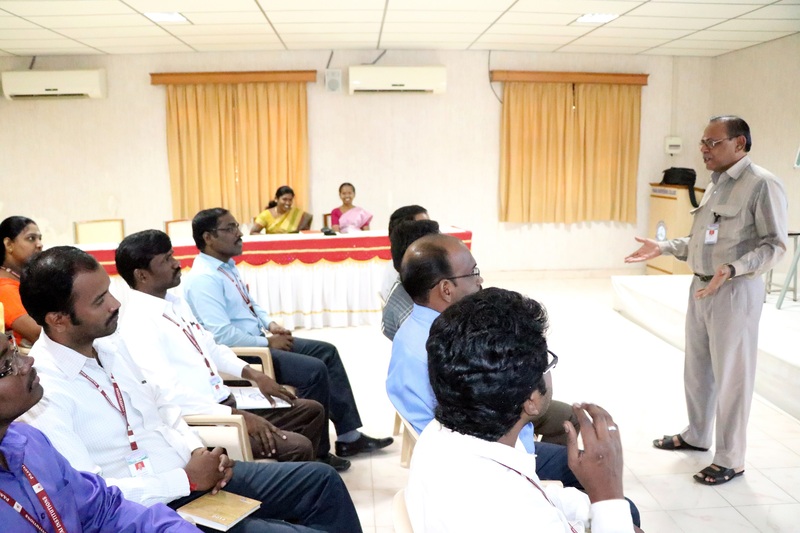 Earlier, Dr.Selvi, Dean Academics welcomed the gathering and motivated the faculty to make use of the learning opportunity to step up one’s domain knowledge by attending similar workshops.Dr.S.Sukumar, Dean Civil also spoke about the need for knowledge updation among the faculty. The FDD team made arrangement for the programme.